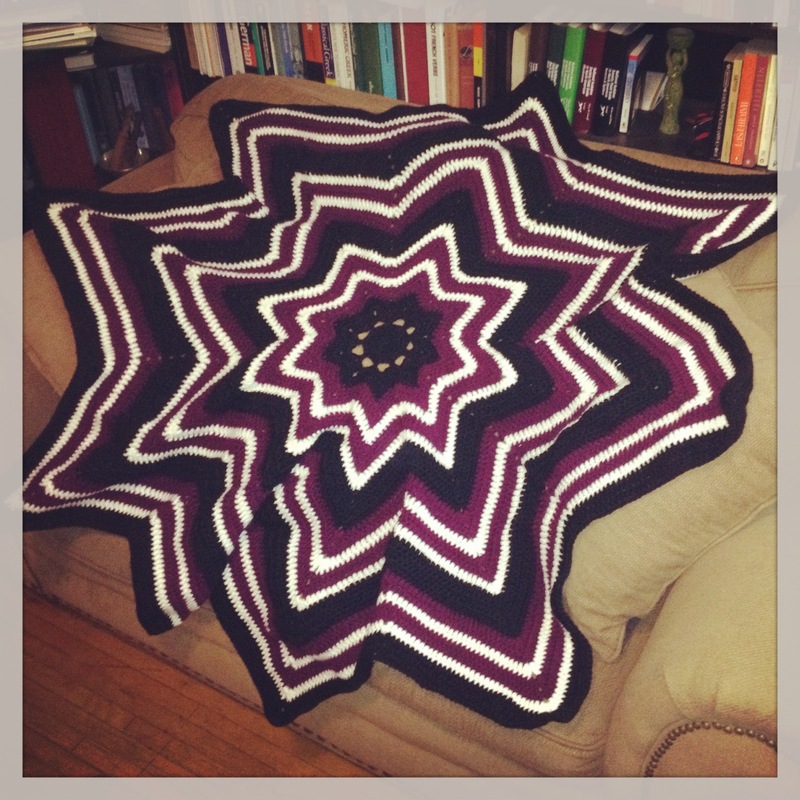 Crocheted Star Throw – How many points was that? Many moons ago, I started crocheting a blanket. I can’t remember exactly when I began but it has to be at least a year ago. Well, I finally finished it by deciding that 56″ across was big enough. I now understand why so many blankets and throws are made in pieces and then put together. Working on this thing after it reached a couple of feet in diameter was cumbersome. And hot! The pattern I was using was, as mentioned above, for an 8-pointed star but if you revisit the above picture and use your numerical counting skills (as I clearly did not! lol) you’ll come up with a different number. Yep, somehow, some way, I have nine points. Unfortunately, that means that it presently doesn’t lay flat, which doesn’t pose a huge problem when draping it over a sofa or yourself. I’m going to soak and dry it (not sure if I actually have the means to block it) and see if I can improve the shape at all.